Inside The Grand Opening Of "Reservoir At The Shop"
Last night in Culver City, Reservoir, L.A.'s premier women's retailer, along with Opening Ceremony, celebrated the grand opening of "Reservoir At The Shop," a unique 7,000 square foot partnership between Reservoir, Tom Dixon, and Hayden, a newly opened all-day neighborhood café and wine bar. The unique shared-space environment within Platform features over 100 brands including: Edie Parker, Alexander Wang, Rag & Bone, Opening Ceremony, Sidney Garber, Zimmerman, Linda Farrow, Derek Lam, See By Chloe, and more. 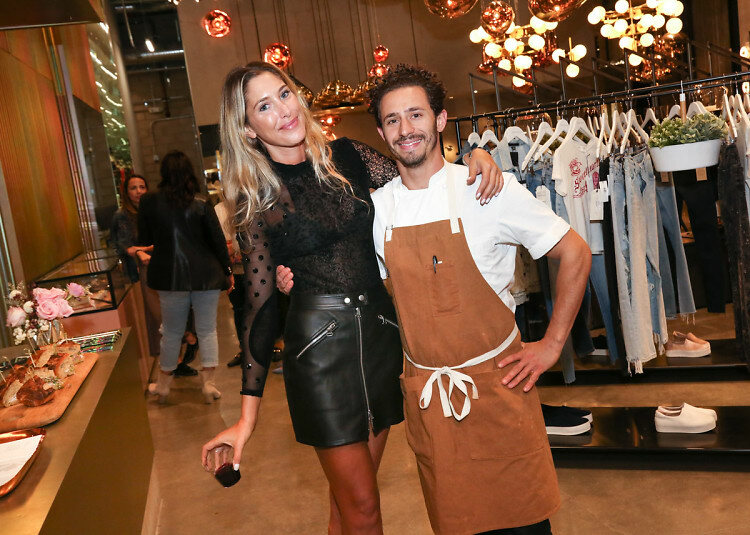 Stylish attendees enjoyed drinks and bites by Hayden, taking in the new collection by Opening Ceremony as well as Reservoir's in-store installation with socially conscious and universally flattering sunglasses company Westward Leaning.